Is that the sound of crashing waves? No, but close enough. 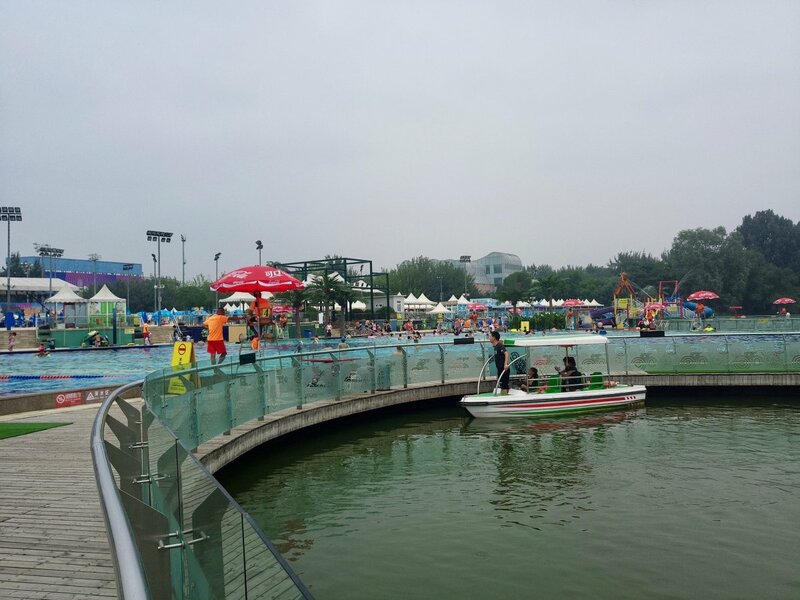 Instead, it’s the splish-splashing of Beijingers desperately trying to beat the intense July heat at Beijing’s Ocean and Beach Carnival, which is underway at Chaoyang Park until Aug 31. Aside from a massive 2,000sqm swimming pool and a shallow water playground area, this attraction also boasts an even bigger 20,000sqm beach brimming with fine yellow sand imported from Hainan aka “China’s Hawaii.” The water playground area has water slides, seesaws, and more for kids to enjoy, while grownups can (as long as it’s not raining) wiggle their toes into the sand and imagine they’re lounging on a Hainan resort. Serious swimmers, meanwhile, will enjoy the adjacent pool suitable for laps. Upon our visit last weekend, the Carnival was relatively quiet due to the overcast weather, meaning that we had the entire deep end to ourselves. What’s more: we found everything from the pools to the changing rooms well maintained and clean. Every day, there are a couple of 30-minute performances that take place on the main stage, keeping the kids happy while the adults relax the day away under huge sun umbrellas. If you are seeking a less leisurely activity, then head to the beach volleyball courts, which are available for rent, along with volleyballs, sunbeds, inflatables, and water guns. To fill up after a few rounds of volleyball, there are a few food and beverage vendors bordering either side of the beach as well as a restaurant on the right-hand side of the carnival, near the pool exit. Don’t expect anything too delectable – Beijing classics like zhajiangmian (RMB 25), chuan’r (RMB 20-30), and baozi(RMB 30) – just satisfying enough to fill you up after your afternoon swim. You will need to buy a prepaid card at the door to buy food. 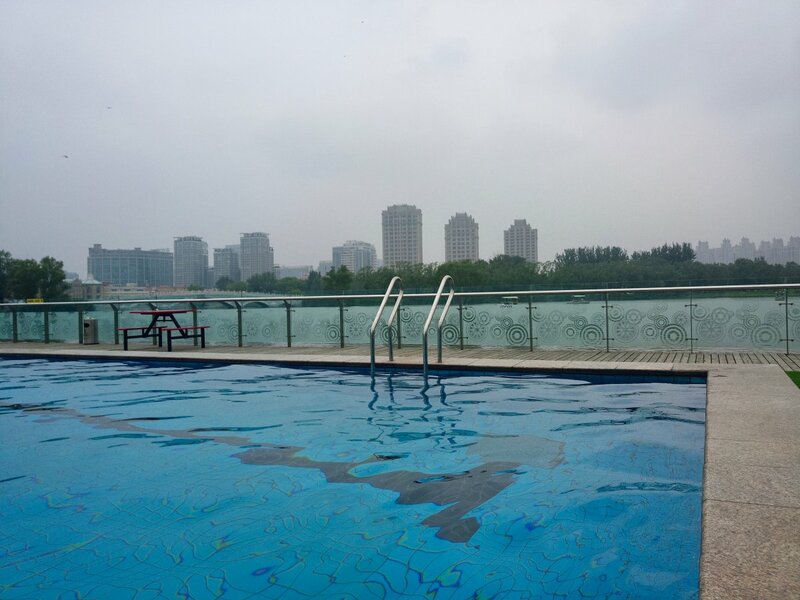 The Ocean and Beach Carnival may be one of Beijing’s best-kept secrets, and despite not being the cheapest option for a dip in Beijing, the high price tag means that it stays relatively quiet, making for a great way to while away the weekend in peace.